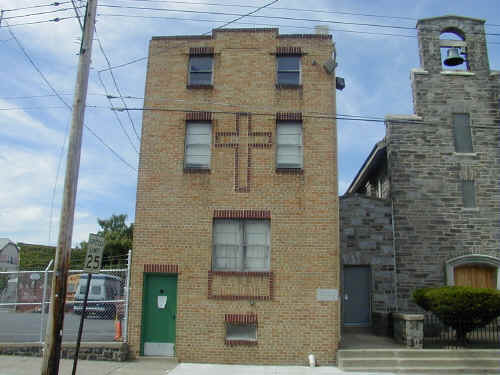 This building currently houses White Rock Baptist Church. School: 3rd & Parker St.
*Rev. Eugene J. Carbo, 1978-? Church History: The church of St. Anthony of Padua was established in 1908. Ground was broken for the building in April 1913, the cornerstone was laid June 11, 1913, and the high altar was consecrated June 14, 1914. It was one of the six Chester Roman Catholic churches that were closed in 1993 and merged to form the Saint Katherine Drexel parish. It began humbly, as great things usually do. Seventy-five years ago, a small group of Italian immigrants gathered in a Chester basement, drawn together by a common heritage and belief in both Jesus Christ and themselves. St. Anthony of Padua Parish was born in 1908 in a basement room of St. Michael's Church with the aid of Rev. Joseph F. Timmons. With Father Timmons' guidance and help, the small group petitioned the Archdiocese of Philadelphia until finally, in 1912, Rev. Antonio Garritano was named as the first pastor of the new St. Anthony of Padua Parish in Chester, Pennsylvania. During the month of April, 1913, ground was broken for the church located on Third Street, between Concord Avenue and Franklin Street. The cornerstone was laid on June 11, 1913 and the High Altar consecrated on June 14, 1914. A period of gradual parish growth continued until, in September of 1921, Father Garritano opened the St. Anthony School located at Third and Parker Streets. The school entrusted to the Missionary Franciscan Sisters of the Immaculate Conception. 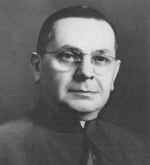 Father Garritano presided over the early growth of St. Anthony Parish for fourteen years, until transferred to the St. Mary Magdelen DePazzi parish on May 26, 1926. Succeeding Rev. Garritano was a man who had come to America with a strong desire to help the Italian immigrants who, like himself, were struggling to make a life for themselves in a strange new land. The Rev. Giovanni Maria Guiseppe Zazzara was born in Manopello, Italy, on March 17, 1890. After spending his childhood in a small town at the foot of the Appenine Mountains and then studying in Rome, the then 23 year old Zazzara entered the Italian Army. While serving in the city of Belluno at the foot of the Alps, his duties required frequent trips to Padua and the Basilica of St. Anthony became a favorite stop. At the time, he was unaware of the eventual impact St. Anthony would have on his life. When he arrived in Chester as pastor of St. Anthony's, Rev. Zazzara found a massive debt and a dilapidated two-story building at Third and Parker Streets adapted as a school by simply adding partitions for classrooms. Since the second floor also substituted as a parish hall, the partitions were movable. Father Zazzara wasted no time improving the school and convent. Enlisting the aid and skills of his parishioners to keep costs to a minimum, the school and convent were transformed from firetraps to sound and attractive buildings, both inside and out. By the time St. Anthony Parish was ready to celebrate its Silver Jubilee, Father Zazzara was the pastor of a growing and financially sound congregation. The church basement had been converted to a new parish hall, but the increasing number of families joining St. Anthony's made more Sunday Masses necessary, so the parish hall was converted into the lower Chapel and a new parish hall constructed alongside the church. Rev. Zazzara was known as "Father John" to his parishioners, providing the spiritual, intellectual and social leadership that established his reputation as a builder and made St. Anthony Parish one of the most important Italian-American congregations in the Archdiocese of Philadelphia. By the time Father John celebrated his own Silver Jubilee marking the Twenty-fifth Anniversary of his ordination on May 24, 1942, St. Anthony Parish was well known for many of the activities that reflected the strong spirit of harmony and cooperation among church members such as the processions through the City of Chester, the annual minstrel show and the parish picnic. The profound affection felt by the congregation for Father John was dramatically demonstrated on May 28, 1950 when, in conjunction with his Twenty-fifth Anniversary as pastor, the parishioners raised the $20,000 necessary to make the final payment on the church mortgage. Father John was honored at the mortgage burning ceremony, held in Columbus Center, by several prominent guests such as the Italian Consul General of Philadelphia. A letter from the then Archbishop of Philadelphia, D. Cardinal Dougherty was read congratulating Father John and his flock on their achievement. As pastor, Father Zazzara had more impact on the development of St. Anthony Parish than any other individual in the congregation's history. 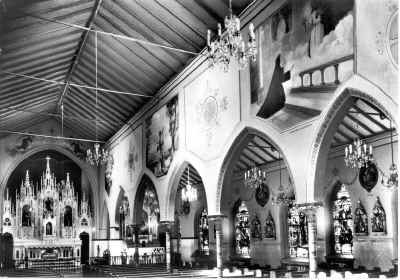 Church buildings were greatly increased in both size and number, the sanctuary of the main church was refinished in marble, the basement parish hall became a beautiful chapel and a shrine to the Immaculate Conception was erected in the plaza next to the church and used for outdoor services. The entire main church was renovated and painted in 1951 with results so impressive to all who entered the Italian renaissance building with its gothic arches that parishioners affectionately referred to Father John's handiwork as "The Little Cathedral." The last touch was added to the sanctuary when a new marble altar, facing the congregation, was consecrated on April 9, 1965. 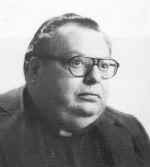 By that time, however, Father John's efforts had been noted as far away as Rome where on October 9, 1953, Father John became Monsignor John M. Zazzara. In addition to recognition within the church, Msgr. Zazzara was knighted by the Republic of Italy with the Cross of the Order of Solidarity in 1956 and on June 10, 1966 he was notified by the Italian Consul General of Philadelphia that the Republic of Italy had elevated him to the rank of Commendatore. Over the years, St. Anthony Parish has undergone many changes, yet it still maintained a family atmosphere that kept former Chester residents coming back for a glimpse of a true neighborhood church. "The spirit of the St. Anthony's parishioners remained unequaled and was often reflected in church activities such as the choir. The St. Anthony's choir and orchestration of the holiday masses was famous all over the Delaware Valley at a time when such things were unheard of. 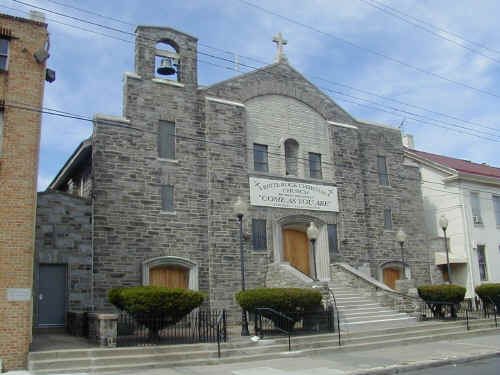 Through various religious societies such as the Holy Name Society, St. Gabriel's Society, B. V. M. Sodality and a host of others, St. Anthony's parishioners proved time and time again their spirit, devotion and generosity that has become the hallmark of St. Anthony's Parish and its Italian heritage. In 1967, after forty-five years of service and leadership, Msgr. Zazzara retired as pastor emeritus of St. Anthony Parish. The Rev. 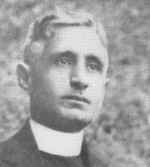 Arthur J. Centrella was then appointed the new pastor of St. Anthony Parish. Father proved to be a dedicated and loyal pastor among his parishioners. The congregation had begun to dwindle years before as families moved to new homes in the suburbs until finally the Archdiocese was forced to close St. Anthony's School due to the low enrollment. As a change in the neighborhood took place, this sad responsibility of closing the school was begun by Father Centrella with much diplomacy. His task was not an easy one but was eventually accomplished in an orderly and quiet manner. After fifty years of existence during which as many as 500 students were enrolled in a single year, the hard financial realities forced the end of an era at St. Anthony's School. Father Centrella tried his utmost to keep the parish together in spite of the fact that many moved at a distance and many children were accepted into other parochial schools. 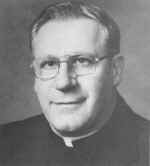 Father Centrella's stay with us was too short and he was taken abruptly from us and appointed as pastor of Our Lady of Consolation Church, Philadelphia. Father Michael A. Capuano was appointed pastor on March 17, 1971. After Holy Week of that year, plans were made to renovate the parish hall and kitchen. This project began immediately and the hall was enlarged, a new kitchen and lavatory facilities were installed. Later, completely new chairs and tables were acquired and the kitchen was updated with new equipment. This proved beneficial, because it gave the parishioners an opportunity to initiate our Spaghetti Dinners and a decent place for meetings, small socials and religious instructions for our C. C. D. Program. The church had been painted about thirty years before so the church and chapel were painted and the sanctuary was carpeted. Since the chapel was used for mass during the summer months, the chapel was renovated with the purchase of new pews and carpeting. The exquisite marble altar of the Blessed Mother was moved from the back wall and placed in the sanctuary for the new liturgy. With the help of our fine, faithful people who came religiously to the monthly parish meetings, the now annual Spaghetti Dinner was off to a success. 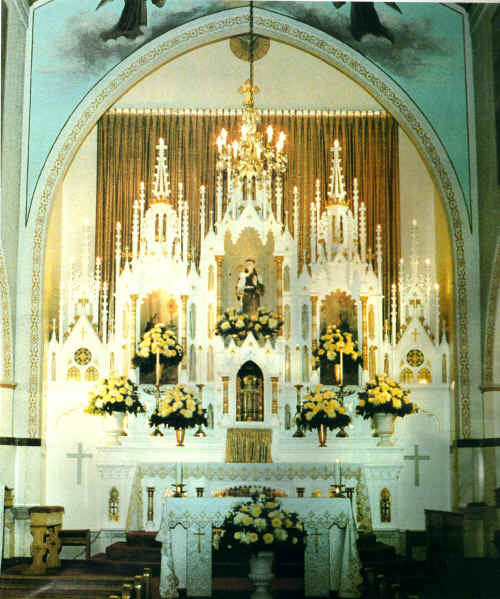 Even though the original minstrel shows, which had run for forty years, had been replaced with the Italian Carnevale with our Senior Citizens as guests, and the Holy Day processions up Third Street were a distant memory, the remaining congregation of St. Anthony Parish refused to let their church die. New activities like the Cadillac and Spaghetti Dinners, begun by Father Capuano, filled the gaps left by other, older traditions that could no longer be supported by the smaller number of parish families. 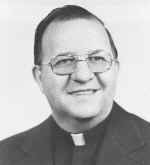 Father Capuano was transferred from our parish and was appointed as pastor of St. Lucy's Church, Philadelphia in 1978. However, to the congregation of St. Anthony it was a sad day to see him leave after all that he had accomplished in our parish in seven years as a devoted priest. He won the hearts of all his parishioners and they missed him terribly. His work here always brings a note of joy to each of St. Anthony's parishioners. The Rev. Arthur Centrella, who replaced Msgr. Zazzara in 1967 and the Rev. Michael Capuano, who replaced Father Centrella, both found a smaller but no less enthusiastic congregation when they arrived at St. Anthony's where family origins were not forgotten and the spirit of the community cooperation was alive and well. This determination of the parishioners to preserve their church in spite of the declining membership is reflected every Sunday and especially at Christmas, where the traditional vigil service is standing room only. The simple fact that St. Anthony Parish is still here to celebrate its Diamond Jubilee says something very remarkable for its members, who continue to defy the odds and local trends and maintain something they feel so strongly needs to be preserved. We are now under the guidance of the Rev. Eugene J. Carbo who has been carrying on the St. Anthony's tradition as our newest pastor since 1978. After five years of service, Father Carbo has proved himself to be a capable administrator of the parish and as pastor has fulfilled the needs of the people. Through his dedication and the efforts of the genuinely faithful people, the parish is rejuvenating. By the leadership of our pastor, our Italian heritage and the practice of our Catholic faith, our goal is evermore before us - to keep St. Anthony parish alive! Father Carbo's first concern is the salvation of souls. His constant concern for the sick and the elderly has endeared him to all the parishioners. As we mark the passage of seventy-five years in the life of our church and celebrate those deep bonds that have united us all these years, we can only look to the future with a feeling of satisfaction for those accomplishments we have achieved in the past. St. Anthony Parish may be smaller but is no less committed than before. The renovation of the chapel under the direction of Father Carbo and the restoration of all the statues and artwork in both churches by an artist commissioned from Spain is testimony to this strong commitment. The most important thing about any parish is not a beautiful church or famous choir, but the warmth and devotion of the families who make up the congregation. With this spirit and the help of Jesus Christ we, the 480 families who comprise St. Anthony's Church, shall see it through to a bright future, as it has always enjoyed in the past. St. Anthony of Padua Church celebrated its 75th Diamond Jubilee on Sunday, October 2, 1983, at 4:00 p.m. with a Mass of Thanksgiving offered by His Excellency, Bishop Louis A. DeSimone, D.D., V.G., principal celebrant of the Solemn Liturgy. The concelebrants were Rev. al Monsignor Arthur J. Centrella, Rev. Michael A. Catepuano, both former pastors, Rev. Albert B. Palombo and Rev. Eugene J. Carbo, present pastor. The Rev. Michael A C. DiIorio served as Master of Ceremonies for the Liturgy. The exterior of the church was colorfully decorated with the American, the Vatican, and the Italian Flags, along with streamers and a giant banner which read, "St. Anthony of Padua Church, Chester, Pa. (1908-1983)." In addition, flowers were placed at the base of St. Anthony's Statue, and Patron Saint of the Parish, which stands high above the main entrance of the Church. A procession consisting of forty Knights of Columbus, altar boys, and more than thirty-five priests proceeded from the rectory to the church as the bells joyously peeled. The Archdiocesan Boy Choir, under the direction of Rosemary Hudecheck, sang Psalm 150 as the group marched up the main aisle. Bishop DeSimone, the first Italo-American Bishop of Philadelphia, was greeted by Mrs. Yolanda Roselli, a devoted parishioner, who presented the Bishop with the traditional bouquet of red roses and a short welcome in her native Italian language. Mr. & Mrs. Anthony Pileggi, lifetime members of the parish, welcomed the Bishop and presented him with a gift from the parish to commemorate his visit on this a historical event. Mr. Ferdinand Vitelli and Miss Rose Zappala were lectors at the Mass and read the scriptural passages. The Rev. Albert B. Palombo, the first priest-son of the parish, delivered the homily. His magnificent preaching touched the hearts of all who attended the great celebration. Father reminded us that this occasion symbolizes a return to our ancestral home just as Moses returned to Sinai to hear the word of God. Bishop DeSimone concluded the Mass with a greeting and blessing from Cardinal Krol who was unable to attend. The Bishop also read a Papal Blessing sent from Rome by Pope John Paul II after which he imparted the Apostolic Papal Blessing to the congregation. As the procession proceeded down the main aisle, the Boy Choir dramatically sang Bach's Alleluia, O Come And Praise The Lord which emotionally moved the people to burst into a thunderous applause. The Bishop remained at the foot of the church steps and tiredlessly spoke to each individual - the aged, the sick, children, parishioners and non-parishioners alike. He grasped each hand and spoke softly to each person who greeted him. This very uniquely typifies Bishop DeSimone whose motto is "Servus Tuus" meaning "Your Servant." Immediately following the Mass another joyous celebration began with a banquet at the Brandywine Club, Chadds Ford, Pa., where the Rev. Michael A. Capuano, a former pastor of the parish, was the guest speaker. He spoke of the admiration of the people who make up St. Anthony's Church in Chester. He praised them for their limitless devotion and support of their parish which makes it singular in the Archdiocese of Philadelphia. He referred to a genuine spirit of "family unity" which strongly binds the people of St. Anthony's Church. They are staunch and faithful Catholics who love their church and would do anything to preserve and live in this family parish. Francis G. Pileggi, Esq., served as toastmaster and introduced the invited guests which consisted of priests and sisters who served the people of the parish so well over the years. Parishioners, both past and present, gathered together to show their love and appreciation for their church and their heritage and to share many memories from long past years. The future years of the parish will depend upon the continued dedication and support of all the parishioners. And we are confident that such support will be present; for the Italians' love of the church as well as the love of their own culture are well known and intimately bound together. God bless St. Anthony's Parish! 1 - Thanks to Diane (Vitelli) Morrison for this information.